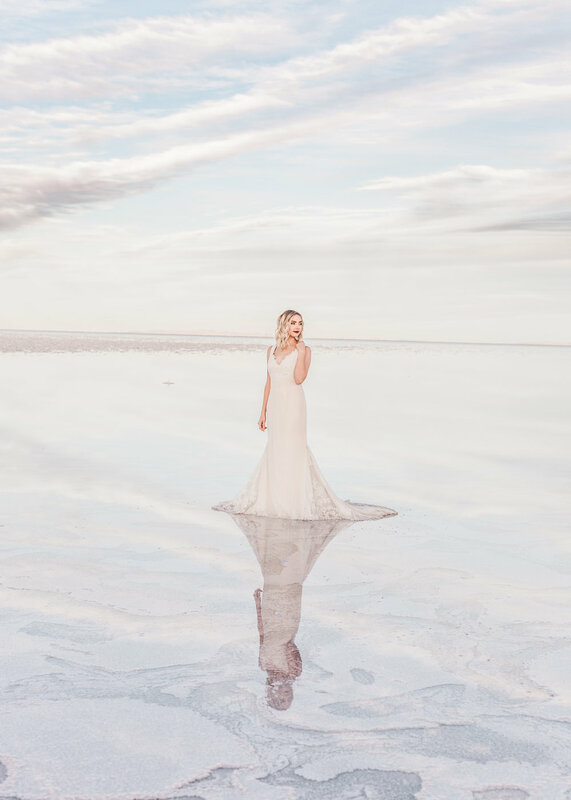 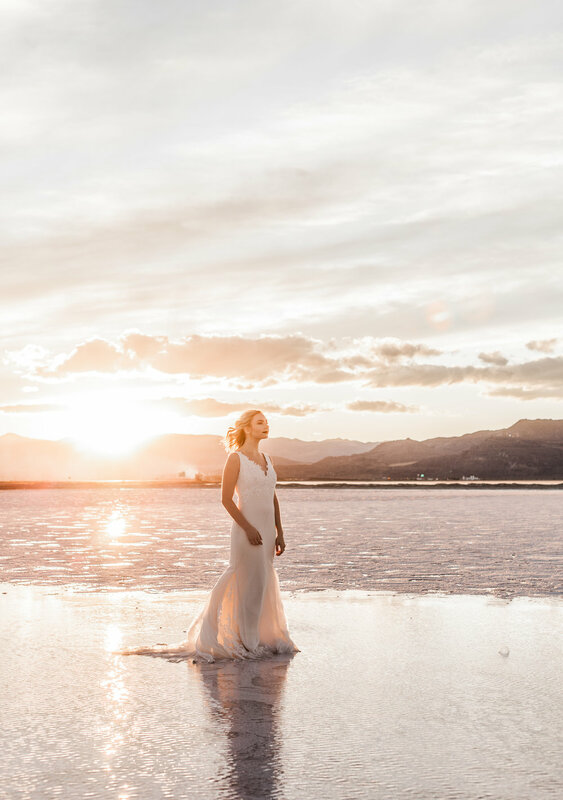 The Bonneville Salt Flats in Tooele, UT are an absolute dream! 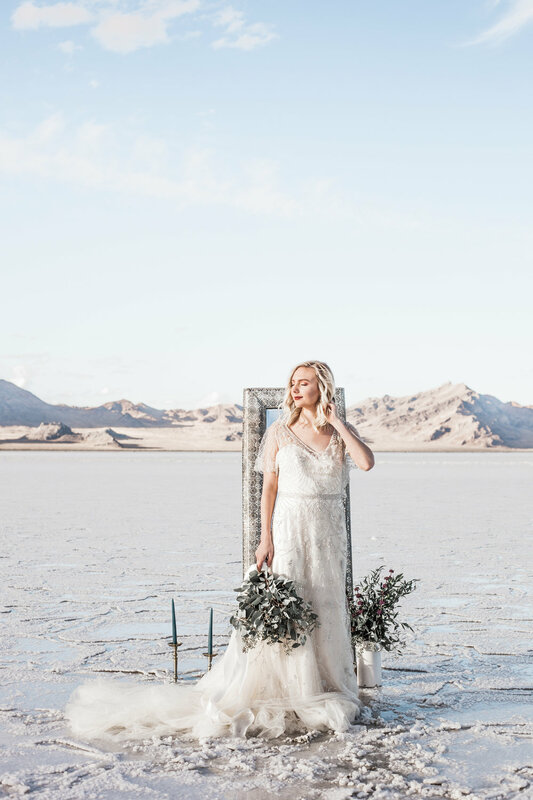 Being able to photograph this amazing photoshoot coordinated by Khrystalle of Wheat and Weather was also a dream. 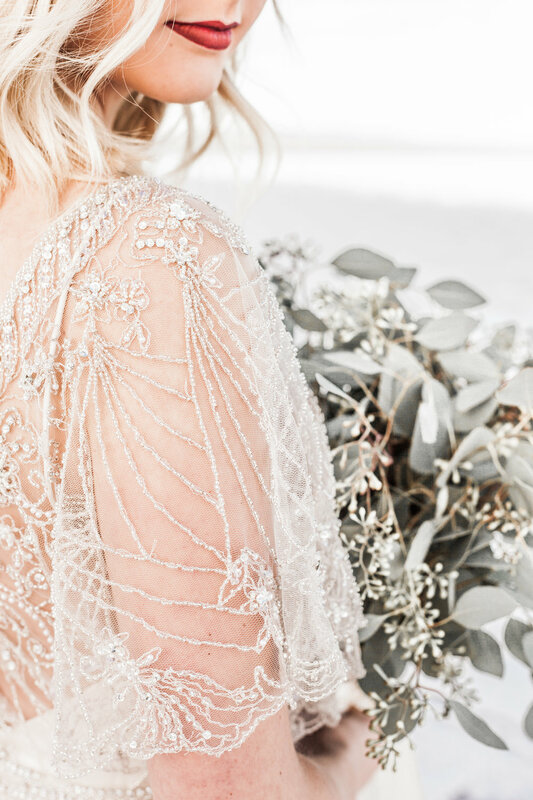 The concept was ethereal and enchanting with the most beautiful little details. 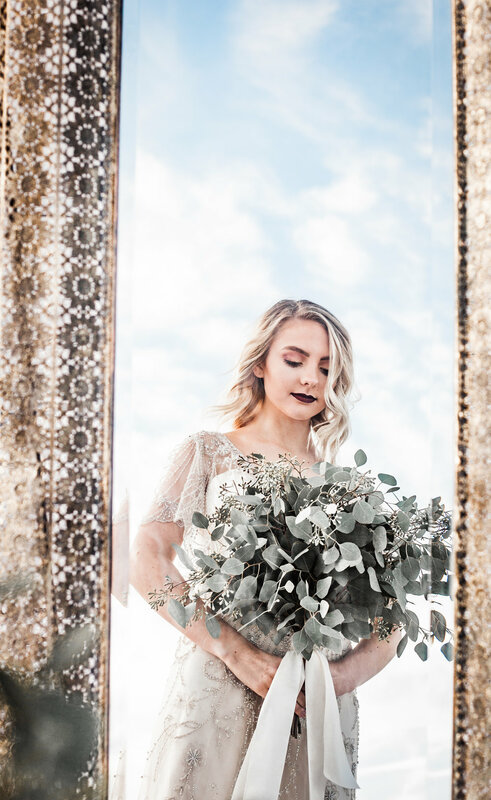 White, silvery, winter tones are my absolute favorite and so the sparkling crystal appearance of the flats had me feeling happier than a kid in a candy store. 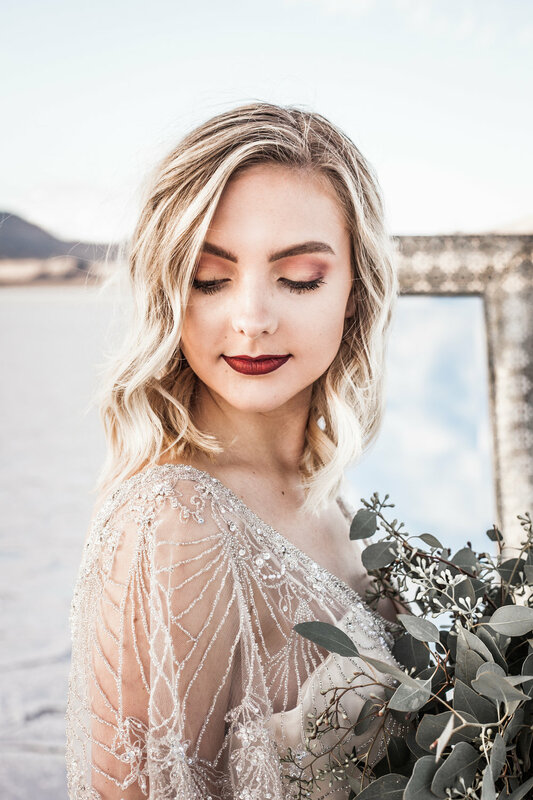 Enjoy the amazing shoot below and be sure to check out all of our wonderful vendors as well!